To me gender is a sort of puzzle where you make the pieces yourself. Gender isn’t an objective thing, it’s a construct we’ve simply agreed on. Each detail of how you present represents a piece of your gender, and it’s up to the individual to put those pieces together to create the finished picture. For me, the pieces never quite fit together – that is, until I played Bloodborne. I remember playing Pokemon as a child and picking the girl trainer by accident. At least, that’s what I would tell myself. As a young trans girl who still saw herself as a vaguely abstract thing called “boy”, experimenting with gender presentation was hard. I didn’t realize, understand, or know how to grapple with my thoughts about gender, and I had nobody in my life to look to for guidance on this particular subject. I wanted to play around with how I expressed myself, but I was scared. With no one to turn to, and no representation in media, it’s easy for the gender dysphoria to become scary, and, quite frankly, dangerous. Life was hard and in the face of it, I doubled down on being a guy. I was undeniably a boy. 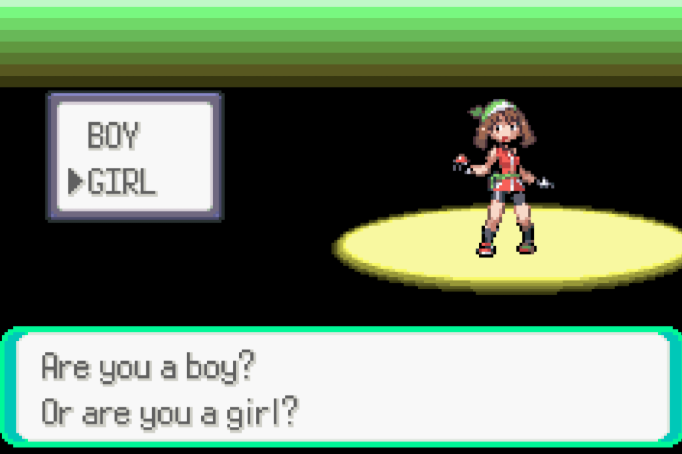 It was a seemingly small choice to pick my trainer’s gender, but I could endure the miniscule amount of schoolyard taunting if it meant I didn’t have to be a boy during my virtual life, too. Video games offered me a refuge, even if I didn’t quite know it yet. Plenty of people use games as a form of escapism – some want to escape despair, others want to escape dullness. Me? I wanted to escape gender. In real life, I couldn’t play around with how I presented. I knew kids who got beat up for daring to paint their nails. I wasn’t interested (nor brave) enough to confront that reality. In place of doing so, I banished those thoughts into the deepest confines of my mind. Playing as a girl in a game was a small thing, but it let me assert some control over how I presented myself – in a way that eight-year-old me could never do in person. This quickly escalated into an affinity for character creators. I could craft avatars I wanted to BE, and yet I kept the plausible deniability of ‘just wanting to role-play’. I could make characters as feminine as I wanted, even act feminine, with no repercussions because I was clearly just role-playing. They went further than just a simple gender select because I could actually play around with how I presented. This is a unique aspect about gaming as a medium – the way it allows people to manifest within the space is appealing to people who don’t feel like their real selves are quite “right”. It’s probably no accident that nearly every trans person I know is an avid gamer, and generally cite games with character creators as their favorites. Of course, when creating a character, you have to give it a name. Names are very important in the trans community. Generally, our birth name is too associated with the gender we want to move away from, and the identity we want to destroy. Names have power. Names have a proven psychological effect on how people view each other, and more importantly how people view themselves. For me, a new name wasn’t just abandoning who I was, it was a chance to seize the person I wanted to be. Much like presenting differently, changing your name is very difficult. Getting other people to use the new name, or even getting yourself to use the new name, can be a steep uphill battle. Doing all that while deciding if you even like it is a tough balancing act, and being able to unload that burden onto a virtual being is a huge weight off your shoulders. Even just pragmatically, it’s easier for people to adjust to a new name a single time, rather than making it a repeat thing. Anecdotally, many of my trans friends, both online and off, decided their name after using it as a character name first, citing similar reasons to me. In retrospect, it’s understandable that the ability to decide names would be appealing to the trans community. For me, all of this was true, but it was always subconscious. I didn’t realize the driving force behind why I was playing with names or gender using the medium I loved so much. Bloodborne changed all of this. When I started playing FromSoftware’s masterpiece, I began making my character, and I wanted to make her pretty. Of course, it’s not that I wanted to look like that, I was just role-playing, obviously. I tried to think of a name for her, and went with my tried and true name, Luna. Luna had become a standard name I gave my protagonists when I made them, and yet it never crossed my mind, even a single time, that maybe that could be my real name too. In a game packed with symbolism of the moon, werewolves, and transition between day and night, it could hardly have been a more appropriate moniker. It was in staring at Bloodborne’s moon when I realised that I could be Luna, too. It was as if everything clicked into place – when I looked at the skybox and saw the blood moon as the game transitioned into its second act, I was really looking at myself. Ironic that a game where your character hardly matters is the game where all my gender thoughts all clicked into place. Soon after, I began to work on the person I wanted to create for myself. Bloodborne is a game where your character is meaningless. Within the story, they serve no other purpose than to act as a cipher for your bloodlust. This is true of many game protagonists, but there is usually a degree of importance ascribed to those. Link may be silent, but he is still fundamentally a hero chosen by destiny. Their adventure matters. Bloodborne’s world is different. Bloodborne views the player with indifference, if not outright contempt. This indifference, however, meant I was less pressured to mold my character around stereotypes and ideals of heroism. I was free to create a character that I would come to see as an extension of my real self. It’s difficult for trans people to navigate any part of life, least of all media that historically demeans and demonizes us. Yet games offered me a way to navigate my own complicated thoughts on who I even am as a person. I view the ability to create my protagonist, or even just the choice of what gender I get to play, as fundamental to why I’m still breathing today. Thank you, Bloodborne, for giving me the resolve to keep on fighting. 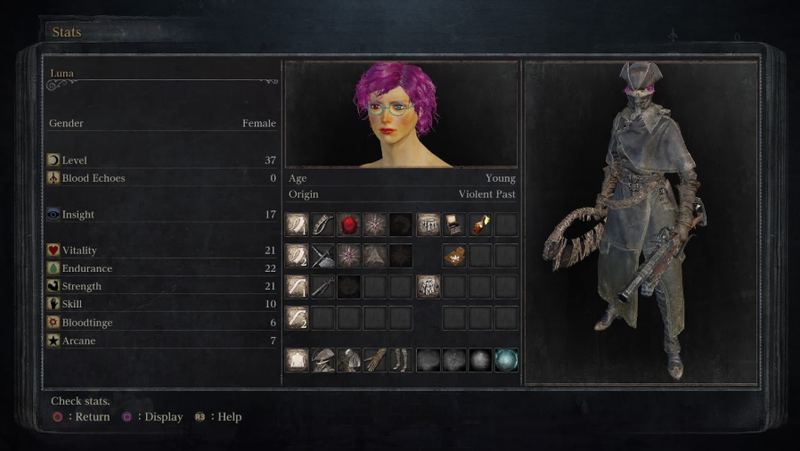 The post How Bloodborne helped me transition gender and choose a new name appeared first on VG247. Ask Dr. NerdLove: Should I Choose My Crush Or My Arranged Marriage?